Thanks for your interest in my blog in 2017. Traffic doubled to over 50,000 visitors per month and one thing was painfully obvious – you do not like your current tub and shower stalls! 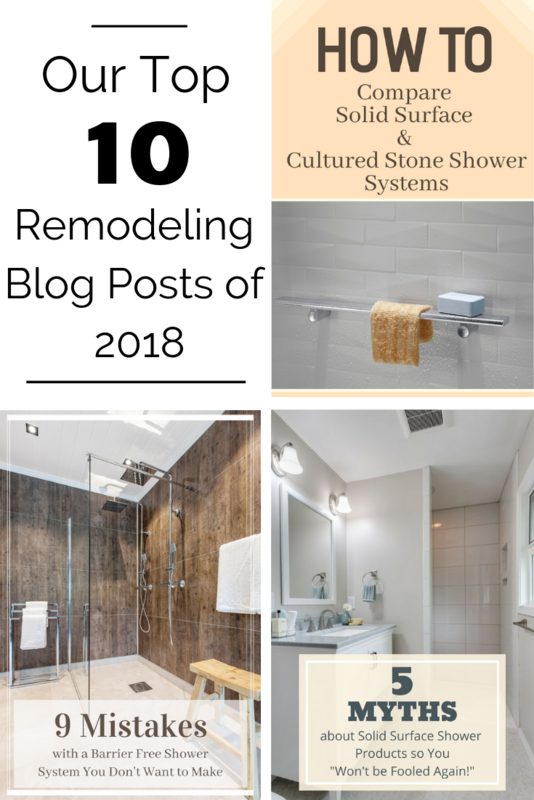 As you’ll see below 9 of the 10 top articles were focused on the pains, problems and solutions to fix the “wet spaces” (AKA your tub and showers) in a bathroom remodel. You wanted to learn how to get rid of step over shower curbs and climbing over tub rails which cause falls and hospital stays for family members. You wanted to learn how to stop having to clean tile grout – without resorting to cheap white plastic panels from your local big box store. 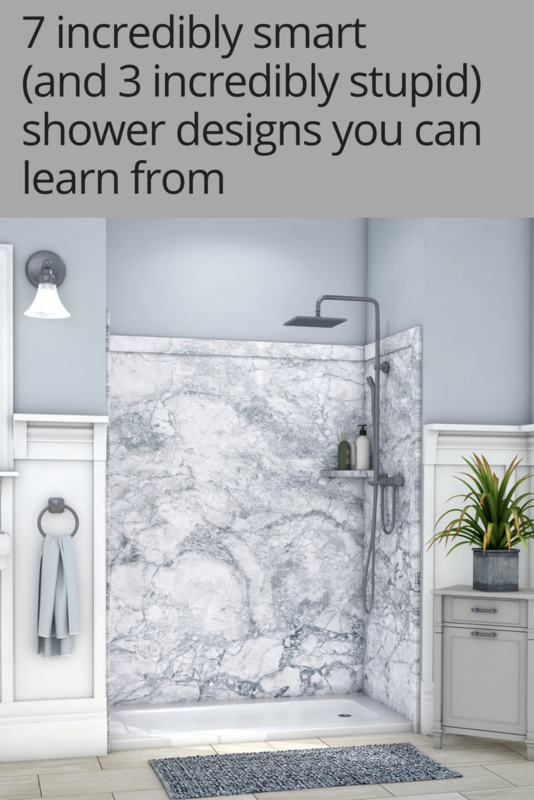 You wanted to learn ways to get a stylish, low maintenance shower or tub without blowing your budget. While 2017 was also the year of the Rooster in the “all important” Chinese Zodiac (and I will come clean and say I was born in 1960 – the year of the Rat– that’s not very flattering), for my blog 2017 was the year of the shower stall. 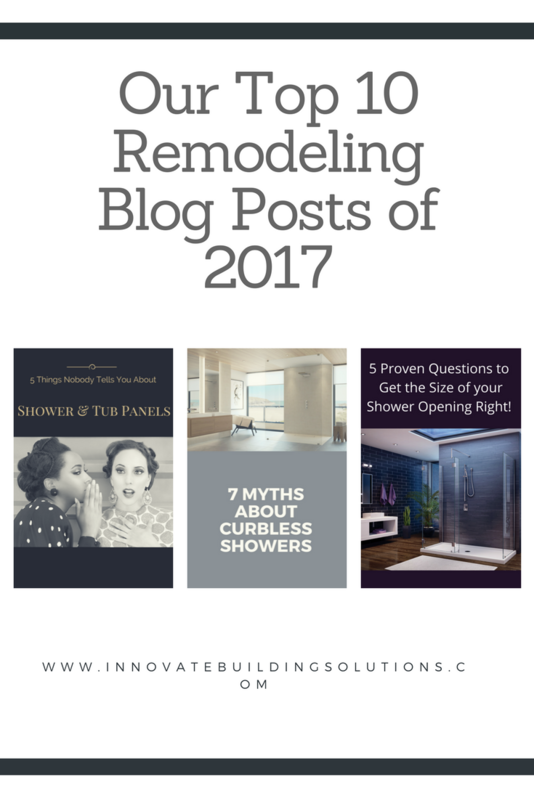 If you’d like to “blow up” your current tub or shower stall in 2018 (OK – maybe not literally) save yourself research time, money and aggravation by reading through our top 10 remodeling blog posts of 2017. We’ll build up to the top post at the end. Thank you for reading our remodeling blog this year! Your support has resulted in the blog growing over 2x what it was in 2015 – and I can’t thank you enough. Before writing posts for next year I wanted to give you a glimpse into those articles you liked the best and some input about trends and happenings in the remodeling industry. You’ll see from the list below your interest in showers (walk in showers, shower design, shower kits and even shower accessories) was through the roof. For the articles written about glass blocks you showed most interest in the “secrets nobody tells you about glass block windows” and the unfortunate departure of Pittsburgh Corning as a manufacturer (it’s always disappointing to see a US manufacture decide to exit an industry and take jobs with it!). Lastly – although I only wrote two articles on a cool tiny home project you were all over it. If you missed any of these blog posts, please go back and take a look by clicking on the article title links below. Without further delay let’s get to the top 10 remodeling blog posts for 2016! I will tell you the top story was completely surprising to me (I never would have “thunk” it). During a bathroom remodeling project, great things can happen when contractors, suppliers and homeowners work together on design and delivery. 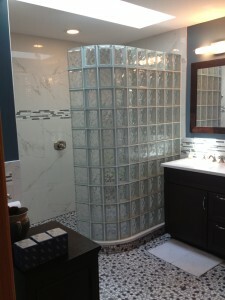 Tina Crabb, of Black Hawk Colorado, was looking to give a facelift to a master bathroom in a home she and her husband purchased 15 years ago. The old bathroom was dated and the jetted spa tub took up too much room and was seldom used. In Part 1 of this series learn how Tina, in conjunction with Jeff Pettus (owner of general contracting company Snowline Designs) and Ray Visco (owner of Visco Tile and Stone), identified and used innovative bathroom accessories and other products to create an impressive bath design which combined dramatic style and long term functionality (note: Part 2 of this series focuses on the quality driven installation approach used Jeff and Ray to make sure the project lasts).